For almost a half century the concepts of virtual reality have been speculated, portrayed in movies, used in games and contemplated for design, but to date the technology has failed to reach its promise. However, now for the first time, it appears that the convergence of multiple technologies can make virtual reality real. In March 2014, Facebook agreed to acquire Oculus VR, a Virtual Reality company, for $2.2Bn. Microsoft, Apple, Google, Valve, and HTC have also recently announced major efforts in the Virtual and Augmented Reality space. This novel course has been designed to experiment with this new technology and to demonstrate its feasibility as a design tool. This class has been organized as a design studio with collaboration between architectural designers and computer graphics majors. A significant amount of reading in multiple disciplines (visual perception, digital photography, modeling, geometry capture, color science, display technology & computer graphics) will be required. To fully investigate this new technology, the class will be divided into groups with the hope that each group will consist of one designer and two computer scientists. Each group will submit its term project consisting of a novel design with its virtual reality implementation. Cornell’s Program of Computer Graphics has been very fortunate to have received major support to investigate this technology from Autodesk, nVidia, and all of the relevant VR companies mentioned above. We will have installed the tracking technology in a dedicated laboratory. We will also have a sufficient number of VR headsets as well as high-powered graphics work stations. How do we design a virtual environment, and how does this fully virtual environment end up changing our understanding of a future physical environment? Potential design subjects include architectural (spatial) design, product (object) design, perception experiments, medical applications, and the development and use of new graphics algorithms. A major question to be answered is whether existing real-time graphics algorithms can be used in these future immersive environments. A major thrust of the course will be to identify those areas in virtual and augmented reality systems which need to be improved to make the systems more suitable for everyday use. Current implementations do not satisfy the current demands but the concepts and potential improvements will open up new possibilities. To me, it feels like “the wild west” again, similar to what computer graphics was when it was first introduced but rejected by all disciplines, including architectural design, engineering, and computer science. The major difference was that it used to take decades to improve the technology, but today this can be accomplished in a small number of years. The course will be given concurrently with an architectural course, Design with Virtual Reality. (The course will possibly have a practicum for an additional 2 credits). Class maximum: 15-18 students (1/3 architecture, 2/3 computer science). Donald Greenberg, the Jacob Gould Schurman Professor of Computer Graphics, has been researching and teaching in the field of computer graphics since 1966. During the last 15 years, he has been primarily concerned with research advancing the state-of-the-art in computer graphics and with utilizing these techniques as they may be applied to a variety of disciplines. His specialties include real time realistic image generation, color science, and computer-aided architectural design. He presently teaches the computer graphics courses in Computer Science, computer-aided design for the Department of Architecture, computer animation for the Department of Art, and technology strategy in the Business School. He received his B.C.E. from Cornell in 1958 and his Ph.D. in 1968. Greenberg also studied at Columbia University. 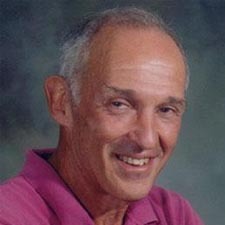 Joseph Kider is a Research Associate at Cornell University in the Program of Computer Graphics working with Donald Greenberg. Joseph completed his Ph.D. at the Department of Computer and Information Science, University of Pennsylvania, advised by Norman Badler. Previously, Joe ran the SIG Center for Computer Graphics serving as the Associate Director for 3 years. He also was a full lecturer in the Department of Computer and Information Science. Joe's current research focuses on the interdisciplinary digital design of sustainable architecture. He work on advanced numeric simulations that derive a building’s daylighting behavior, thermal performance, and material properties. 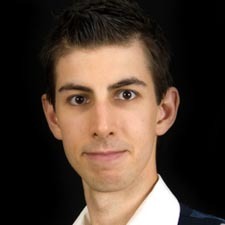 Joe also works on high dimensional light transport problems, such as complex illumination, material appearance, physically-based simulation, and spectral rendering, which facilitate a unique approach to provide both more accurate simulations and efficient algorithms for simulating sustainable architecture and smart buildings. Please note the following course schedule is only a draft. Check here for the most up to date schedule, as we will be updating this on a regular basis. Jan 27 Chapter 1: Introduction: Definition of VR, modern experiences, historical perspective. Jan 27 Environment Mapping - "Texture and reflection in computer generated images". (Architecture 4201 Students only) . Discussion starts at 1:45 pm Friday, January 29th. Jan 29 Mather, Chapter 6, "The Physics of Vision" and LaValle, Chapter 2: Bird's Eye View. For ARCH students only: Review of Linear Transformations, sections 3.1-3.3 of LaValle, Chapter 3: The Geometry of Virtual Worlds. Feb 1 For ARCH students only: Williams, Lance. Pyramidal Parametrics. Feb 5 Mather, Chapter 7, "Visual Physiology" and for ARCH Students only: Whitted, An Improved Illumination Model for Shaded Display. Feb 10 LaValle, Chapter 5: The Physiology of Human Vision. Feb 12 Mather, Chapter 10, "Depth Perception". For ARCH students only: Matthew Low's Thesis Section on Stereoscopic Depth Cues, Chapter 2 (copies left in PCG library, please read and leave in library). NB: No class on Monday, Feb. 15 due to February Break. Feb. 22 and 23rd Please note Jeremy Selan (Valve) will be visiting. Class anticipated for Tuesday, Feburary 23rd, sometime in afternoon (exact time TBA). Feb 22 Mather, Chapter 12, "Color Vision"
March 2 Seymour, Mike. FXGuide. “The State of Rendering- Part 1” and “The State of Rendering- Part 2.” July 2013. Supplemental Materials: 1. LaValle, Steve. "Help, My Cockpit is Drifting Away". December 30, 2013. 2. LaValle, Steve. "The Latent Power of Prediction." July 12, 2013. 3. LaValle, Steve. "Sensor Fusion: Keeping It Simple." May 22, 2013. 4. Abrash, Michael. "Ramblings in Valve Time." January 17, 2014. Helpul resources to help during the semester.